Today we’re chatting with another flash fiction winner, Gail Randall. Gail made it into our top ten with her delightful, first-person story The Great Adventure. I think any of us who have been in the service industry will get a chuckle from watching Dr. Young apply all she knows and then…well, I don’t want to spoil the story for those who have not yet read it. So, please take a moment to enjoy The Great Adventure and then come for a visit with Gail. 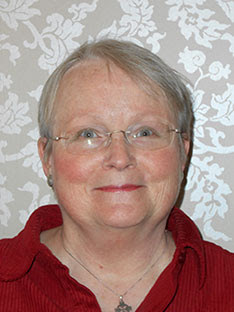 Gail Randall lives with her husband in the crazy environment of Washington, D.C. Another lawyer turned writer, Gail enjoys writing stage plays, screen plays, and psychological mysteries. With a B.A. degree in English and theatre, she has written, directed, and acted in multiple productions in local theatres. Gail served as a JAG on active duty in the Air Force, serving in locations from Upper Peninsula Michigan to Texas, and from California to Washington, D.C. Gail and her family have also lived overseas in Turkey and England where they took advantage of travel opportunities throughout Europe and Asia Minor. All these places proved rich grounds for story ideas. This is Gail’s first journey into the world of flash fiction. She finds her love of dialogue fits well in the flash fiction format. She continues to learn by reading voraciously. WOW: Hi Gail, congratulations on your contest entry! You’ve done a terrific job of showing characterization almost exclusively through dialogue. In your perception, what made this work? What did this approach provide that may have been lost if the story was written a different way? Gail: Thank you. I wanted to write in first person for this story. I think that intimacy worked for Dr. Young’s character. I also wanted to avoid the pitfalls of the “I think,” “I saw,” observations. Rather, I wanted the story to move along concisely and with a lot of Dr. Young’s humor showing. I hoped that the best way to do that was to use dialogue to reveal her character and the characters of her patients. I was afraid I would lose the immediacy if I wrote this story in third person. I wanted my readers to really get into the mind of Dr. Young. She’s a quirky character, and I wanted to share her. WOW: She is a fun character! What was your inspiration for The Great Adventure? Gail: My husband and I are currently having a discussion about sailing the “Great Loop” around the eastern half of the U.S. I thought a therapist would have a grand time getting us to agreement. Unlike my characters, we are talking out the pros and cons of the trip. But I could see a couple avoiding the conflict and trying to disagree without seeming to do so. I have also worked with a therapist in the past, and initially I thought the questions she asked were hilarious. No one talks like that in a conversation. Later I gained great respect for the therapist’s approach as it led me to self-discovery. That’s what Dr. Young tries to do with her patients. Being human, though, she has internal reactions to her patients that I found revealing and sometimes funny. So, my husband’s and my discussions and my great respect for the therapist’s profession inspired me to write this story. WOW: Stage plays vs. flash fiction—they seem like two ends of the spectrum! What challenges did you face while writing The Great Adventure? Gail: I kept wanting to put in stage directions. (Laughs). Stage plays use dialogue and stage pictures to tell the story. I think like that. So writing flash fiction made me really work to get my images on the page in such a way that the reader created the stage picture. I wanted the immediacy of the dialogue and the showing of the interactions on multiple levels. That’s easier to do in playwriting than it is in fiction writing. It’s harder to reveal your characters in fiction writing without getting caught at it by your readers. My goal was for my reader to “see” the story like an audience would see a play unfold before them. I hope that makes sense. WOW: It makes perfect sense—I think in movies so I have a similar struggle. What writing tips would you like to share with our readers? Gail: Don’t be afraid to write in first person. It’s fun. I was inspired by the writing of Janet Evanovich and Robert B. Parker. I wanted to see if I could show a story using that point of view. I also like the concise way Mr. Parker writes, and I wanted to see if I could tell a story mainly through dialogue. WOW: Tell us a little about your current work in progress. Gail: Now I’m working to see if I can sustain the first person point of view in a novel-length work. Dr. Young wants her own book, so I’m writing it. She wants to branch out into forensic psychology, so I’m researching that specialty like a fiend to get the process into my head. I’m not sure how forensic psychology and Dr. Young’s brand of humor fit together, but I’m interested enough to put in the time creating her stories. WOW: That is an intriguing match; I’m looking forward to it! Thank you, Gail, for visiting with us today and sharing your tips. Gail: Thank you, Robyn, for this chat. Great interview and I can't wait to read Dr. Young's novel! Thank you both! I adore The Great Adventure! I'm also excited to read more from Dr. Young. Nice interview, ladies! Wait . . . What? Does this mean the Great Loop Adventure is off?? I am hard at work on the novel. Thank you for your support! What a fun story to read! Feeling Out of Control? YOU Have Choices!